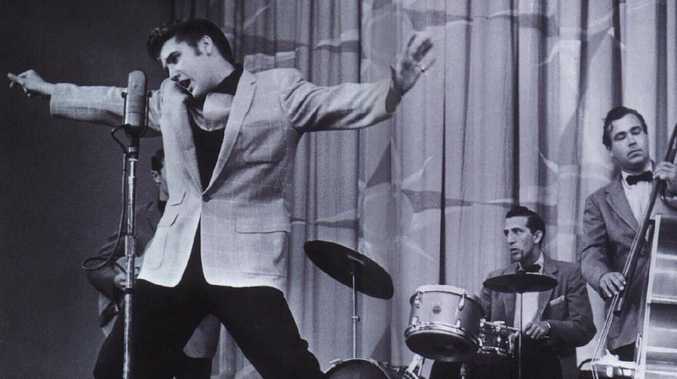 Singer actor Elvis Presley performing with musician drummer DJ Fontana and Bill Black in 1956. DJ Fontana, a rock 'n' roll pioneer who rose from strip joints in his native Louisiana to the heights of musical history as Elvis Presley's longtime drummer, has died at 87. His wife, Karen, told the Associated Press her husband died in his sleep in Nashville on Wednesday night. Presley's former wife, Priscilla Presley, issued a statement calling Fontana "a tremendously talented musician and a wonderful man". Fontana, a member of the Rock Hall of Fame, was the last surviving member of Elvis' original core of musicians. He met Presley and the others on Louisiana Hayride, a popular radio and TV country music program based in Shreveport, Louisiana. 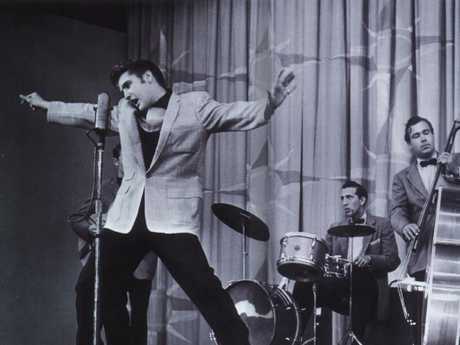 Staff drummer Fontana asked to join Presley's group for a session broadcast in 1954. The 19-year-old Presley had been recording and touring with guitarist Scotty Moore and bassist Bill Black, the musicians Sun Records founder Sam Phillips brought in after Elvis turned up at the Memphis-based label's studio. The Blue Moon Boys, as they called themselves, had been playing a unique blend of blues, pop and country but it was missing something crucial. "Elvis and Scotty and Bill were making good music but it wasn't rock n' roll until DJ put the backbeat into it," The Band's Levon Helm told the Associated Press in 2004. In 1955, Fontana became a permanent member of the group, working with Presley through much of the 1960s. Influenced by big-band drummers, Fontana was admired by Helm, Ringo Starr and others for his power, speed and steadiness. 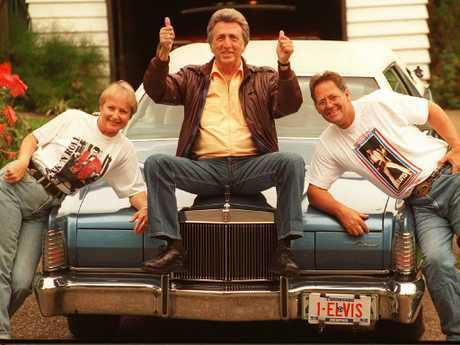 DJ Fontana with Pirjo Valko and Les Bugden in 1996. Fontana was there for Presley's first wave of success, from such hit singles as Hound Dog and Jailhouse Rock to his hip-shaking appearances on The Ed Sullivan Show. Presley's "comeback" Christmas TV special in 1968 was the last time Fontana worked with the rock icon, who died in 1977. Fontana also played with Starr, country artist Webb Pierce and rockabilly star Gene Vincent, among others. Born in 1931, Dominic Joseph Fontana began playing drums in his high school marching band. By his early 20s, he performed at strip joints and spent enough time around the Hayride that he was hired full time, although at first he was asked to play behind a curtain because country audiences scorned drums. News A toddler was hit by a car at a property in Curra.